The West African Economic and Monetary Union (UEMOA) is an organization of eight West African states. It was established to promote economic integration among countries that share the Communauté Financière d'Afrique (CFA) franc as a common currency. The currency is issued by the Banque Centrale des États de l'Afrique de l'Ouest (BCEAO), located in Dakar, Senegal, for the members of the UEMOA. The union administers the West African CFA franc, now a Euro-pegged currency that is used in Benin, Burkina Faso, Côte d'Ivoire, Guinea-Bissau, Mali, Niger, Senegal and Togo. UEMOA was created by a Treaty signed in Dakar on 10 January 1994, by the heads of state and governments of Benin, Burkina Faso, Côte d'Ivoire, Mali, Niger, Senegal, and Togo. On 2 May 1997, Guinea-Bissau became the organisation's eighth (and only non-Francophone) member state. On 20 January 2011, the UEMOA announced that it was drafting a code that will state how member states can negotiate investments with China, as reported by the Dakar-based newspaper Sud Quotidien, citing the union's commissioner, Joseph Marie Dabré. The report said that the code would require Chinese state companies to receive approval from the Ouagadougou, Burkina Faso-based union before investing in any of the zone's eight individual states. Mining agreements between China and countries in the union would fall under the terms of the code, according to Sud Quotidien. However, you do not have to look too far to notice that the UEMOA countries' French-controlled CFA franc is just slavery and colonialism by another name. It therefore beggars belief that the UEMOA should draft a new trade code for Chinese investments and not for the French ones in the first place! The former president of the Ivorian National Assembly, former Finance Minister and economist, Professor Mamadou Koulibaly, labeled the French-led CFA franc arrangement as 'financially repressive, unfair and morally indefensible', in an interview with the London-based New African Magazine last year. It has become vital today for the CFA franc to acquire its own existence, free of colonial stranglehold...After the break; the ex-CFA zone must construct its own system based on simple principles. These include: establishing direct access to international markets without having to pass through a tutor [read France]; and without a monetary guide [read France]; establish a simple fiscal system and not complicated tax codes that are incomprehensible; have flexible exchange rates vis-à-vis major currencies. Professor Koulibaly believes that done within a democratic dispensation, free trade will do the rest for the benefit of Africa. As it unbelievably exists today, Professor Koulibaly explained that, 'the foreign reserves of the CFA African states are deposited in the French Treasury, but no African country is capable of telling you exactly how much of this hard-earned foreign reserves belong to them. Only France has the privilege to that information'. As Professor Koulibaly lamented, francophone Africans have been reduced to 'taxpayers for France [remember the 65% of hard currencies that the 14 CFA zone states are obliged to deposit yearly in the French Treasury]...Yet our people neither have French nationality nor access to the public goods and services made available to other French taxpayers'. In the same New African report, Senegalese President Wade was clear and direct: 'Central bank reserves of member states must be returned to member states in one way or another. I insist on this, and particularly because we have been raising this issue for a long time'. President Wade 'deplored the fact that close to 1,500 billion CFA francs generated from the surplus of West African states' foreign reserves are placed on the foreign stock markets and out of the reach of the Africans who own the money'. The French Treasury is holding billions of dollars owned by the African states of the francophone nations of West and Central Africa in its own accounts and invested in the French Bourse or Stock Exchange. The Africans deposit the equivalent of 85% of their annual reserves in these accounts as a matter of post-colonial agreements and have never been given an accounting for how much the French are holding on their behalf, in what have these funds been invested, and what profit or loss there have been. The French have been acquiring and holding the national reserves of 14 countries since 1961. Even allowing for losses and expenditures in keeping the CFA franc viable, the French are holding about at least 400 billion dollars of African money, wholly unaccountably to the money's putative owners, the African states. Even Bernie Madoff couldn't have constructed a Ponzi scheme that large without being exposed. This 'bargain' was made between the African former colonies and the French as part of the Pacte Coloniale which accompanied their independence and controlled through a single currency, the CFA franc. This was largely the work Jacques Foccart, the chief adviser for the government of France on African policy as well as the co-founder of the Gaullist Service d'Action Civique (SAC) in 1959 with Charles Pasqua, which specialised in covert operations in Africa. It was Foccart 'the eminence grise' who negotiated the Pacte Coloniale with the evolving French West African states who achieved their 'flag independence' in 1960. Not really having planned for it, de Gaulle had to improvise structures for a collection of small newly independent states, each with a flag, an anthem, and a seat at the UN, but often with precious little else. It was here that Foccart came to play an essential role, that of architect of the series of Cooperation accords with each new state in the sectors of finance and economy, culture, education, and the military. There were initially 11 countries involved: Mauritania, Senegal, Cote d'Ivoire, Dahomey (now Benin), Upper Volta (now Burkina Faso), Niger, Chad, Gabon, Central African Republic, Congo-Brazzaville, and Madagascar. Togo and Cameroon, former UN Trust Territories, were also co-opted into the club. So, too, later on, were Mali and the former Belgian territories (Ruanda-Urundi, now Rwanda and Burundi, and Congo-Kinshasa), some of the ex-Portuguese territories, and Comoros and Djibouti, which had also been under French rule for many years but became independent in the 1970s. The whole ensemble was put under a new Ministry of Cooperation, created in 1961, separate from the Ministry of Overseas Departments and Territories (known as the DOM-TOM) that had previously run them all. The key to all this was the agreement signed between France and its newly-liberated African colonies which locked these colonies into the economic and military embrace of France. This Colonial Pact not only created the institution of the CFA franc, it created a legal mechanism under which France obtained a special place in the political and economic life of its colonies. 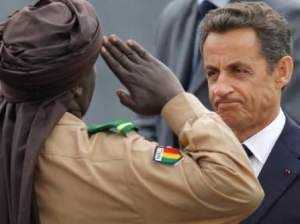 The Pacte Coloniale Agreement enshrined a special preference for France in the political, commercial and defense processes in the African countries. On defense it agreed two types of continuing contact. The first was the open agreement on military co-operation or Technical Military Aid (AMT) agreements, which weren't legally binding, and could be suspended according to the circumstances. They covered education, training of service personnel and African security forces. The second type, secret and binding, were defense agreements supervised and implemented by the French Ministry of Defense, which served as a legal basis for French interventions. These agreements allowed France to have pre-deployed troops in Africa; in other words, French army units present permanently and by rotation in bases and military facilities in Africa; run entirely by the French (and, incidentally, paid for by the Africans). In summary, the colonial pact maintained the French control over the economies of the African states; it took possession of their foreign currency reserves; it controlled the strategic raw materials of the country; it stationed troops in the country with the right of free passage; it demanded that all military equipment be acquired from France; it took over the training of the police and army; it required that French businesses be allowed to maintain monopoly enterprises in key areas (water, electricity, ports, transport, energy, etc.). France not only set limits on the imports of a range of items from outside the franc zone but also set minimum quantities of imports from France. These treaties are still in force and operational today. One of the most important influences in the economic and political life of African states which were formerly French colonies is the impact of a common currency. There are actually two separate CFA francs in circulation. The first is that of the West African Economic and Monetary Union (WAEMU) which comprises eight West African countries (Benin, Burkina Faso, Guinea-Bissau, Ivory Coast, Mali, Niger, Senegal and Togo. 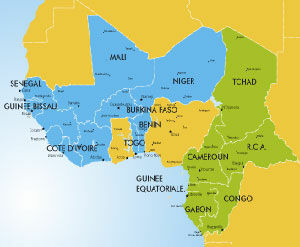 The second is that of the Central African Economic and Monetary Community (CEMAC) which comprises six Central African countries (Cameroon, Central African Republic, Chad, Congo-Brazzaville, Equatorial Guinea and Gabon), This division corresponds to the pre-colonial AOF (Afrique Occidentale Française) and the AEF (Afrique Équatoriale Française), with the exception that Guinea-Bissau was formerly Portuguese and Equatorial Guinea Spanish). Each of these two groups issues its own CFA franc. The WAEMU CFA franc is issued by the BCEAO and the CEMAC CFA franc is issued by the Banque des Etats de l'Afrique Centrale (BEAC). These currencies were originally both pegged at 100 CFA for each French franc but, after France joined the European Community's Euro zone at a fixed rate of 6.65957 French francs to one Euro, the CFA rate to the Euro was fixed at CFA 665,957 to each Euro, maintaining the 100 to 1 ratio. It is important to note that it is the responsibility of the French Treasury to guarantee the convertibility of the CFA to the Euro. The monetary policy governing such a diverse aggregation of countries is uncomplicated for African Central Banks because it is, in fact, operated by the French Treasury, without reference to the central fiscal authorities of any of the WAEMU or the CEMAC. Under the terms of the agreement which set up these banks and the CFA the Central Bank of each African country is obliged to keep at least 65% of its foreign exchange reserves in an 'operations account' held at the French Treasury, as well as another 20% to cover financial liabilities. The CFA central banks also impose a cap on credit extended to each member country equivalent to 20% of that country's public revenue in the preceding year. Even though the BEAC and the BCEAO have an overdraft facility with the French Treasury, the draw downs on those overdraft facilities are subject to the consent of the French Treasury. The final say is that of the French Treasury which has invested the foreign reserves of the African countries in its own name on the Paris Bourse. In short, more than 80% of the foreign reserves of these African countries are deposited in the 'operations accounts' controlled by the French Treasury. The two CFA banks are African in name, but have no monetary policies of their own. The countries themselves do not know, nor are they told, how much of the pool of foreign reserves held by the French Treasury belongs to them as a group or individually. The earnings of the investment of these funds in the French Treasury pool are supposed to be added to the pool but no accounting has ever been given to either the banks or the countries of the details of any such changes. 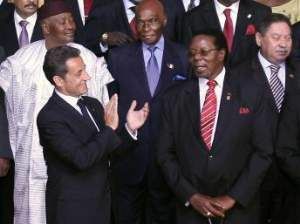 The limited group of high officials in the French Treasury who have knowledge of the amounts in the 'operations accounts', where these funds are invested; whether there is a profit on these investments; are prohibited from disclosing any of this information to the CFA banks or the central banks of the African states. This makes it impossible for African members to regulate their own monetary policies. The most inefficient and wasteful countries are able to use the foreign reserves of the more prudent countries without any meaningful intervention by the wealthier and more successful countries. Most importantly, the French Government uses these funds on deposit in France as assets of France. The CFA franc devaluation of 50 per cent against the French franc in January 1994 was a great surprise to several of the African states and caused major problems for them. The problems for the African states are growing. The coming crisis in the Euro, with the bailouts of Greece, Portugal and others will have a strong effect on the value of the Euro. With the CFA franc pegged to the Euro the value of the CFA will decline with it. The cost of commodities (petroleum products, foodstuffs, etc.) priced in dollars will grow to be a heavier burden on the African economies. Moreover, France itself is in deep financial trouble. The International Monetary Fund (IMF) has warned recently that France will have to carry out more spending cuts to ensure it reaches its deficit reduction commitments amid lower-than-expected growth expectations. While France has predicted 2.25 per cent growth for 2012, the IMF has downgraded this to 1.9 per cent. The French spent almost US$2 million a day bombing Libya; above the budgeted expenditure in its defense budget. France is very short of money. However, the cost of massacring Ivoirians, using tanks, helicopter gunships and Special Forces were offset against the Ivory Coast money it was holding so didn't add to the budgetary problems. The killing of Africans in the Ivory Coast, Cameroon, Rwanda, Chad and the Central African Republic have never been the subject of a budget request to the French defense budget as the Office of the President deducts these from the tranche at the Treasury (which is why it has never been debated in the French National Assembly). To add insult to injury the French estimated that the French business community had lost several millions of dollars in the rush to leave Abidjan in 2006 after the French Army massacred 65 unarmed civilians and wounded 1,200 others. The French demanded that the Ouattara government which they had installed paid them compensation for these putative losses. Indeed the Ouattara government paid them twice what they said they had lost in leaving. Surely the time has come for the francophone governments to ask the French for a proper accounting of the money they are holding. Perhaps the next government in the Ivory Coast will ask the French for an accounting. Wade in Senegal has asked but was never answered. The solution seems simple. Until the French give a proper accounting for Africa's billions the African states should stop sending more to them. It is bad enough paying their overseer for the cost of his whip used to chastise them. It is wholly unreasonable to continue to do so when there is no upside, only potential losses. Antoine Roger Lokongo is a journalist and Beijing University PhD candidate from the Democratic Republic of Congo.